WASHINGTON —On November 20, the Department of Homeland Security announced termination of Temporary Protected Status (TPS) for Haiti. TPS is a temporary, renewable, and statutorily-authorized humanitarian migration program that permits individuals to remain and work lawfully in the U.S. during a period in which it is deemed unsafe for nationals of that country to return home. There are an estimated 50,000 Haitian TPS recipients living in the U.S.
“Yesterday’s decision to terminate TPS for Haiti is deeply troubling. As discussed in our recent delegation trip report, Haiti is not yet in a position where it can safely accept return of the estimated 50,000 Haitian nationals who have received TPS. This decision will devastate many families with TPS members, including those with U.S. citizen children. It will tear individuals from their loved ones, homes, careers, and communities. It will also have direct negative consequences for many in Haiti who rely on remittances for vital support. Our nation has a responsibility to provide continued temporary protection until TPS holders’ return and reintegration can be safely accomplished. 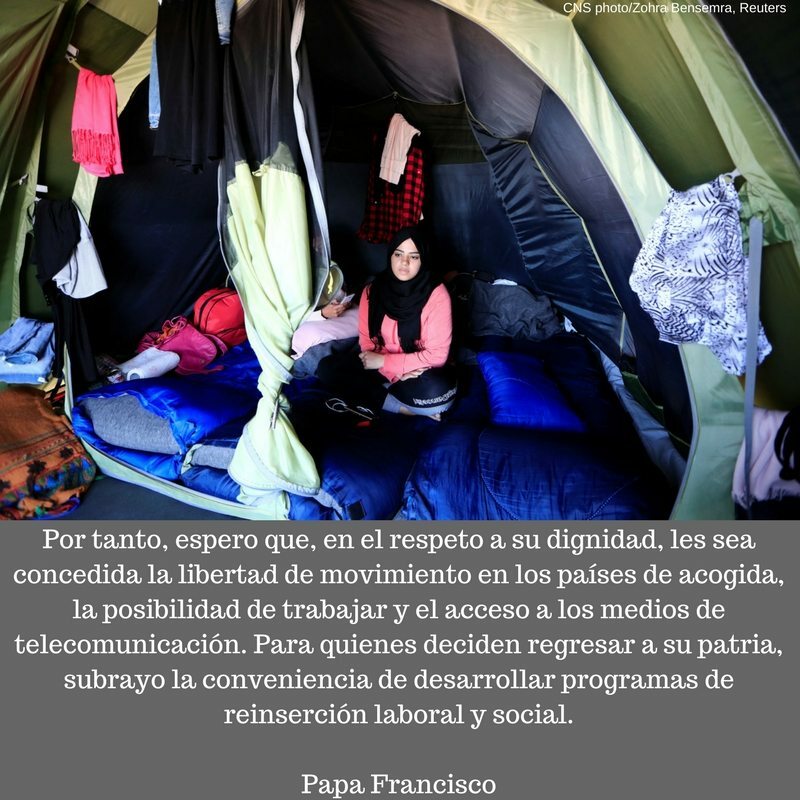 Catholic Social Teaching recognizes a duty to not turn our backs on our neighbors in need. Scripture states: ‘If someone who has worldly means sees a brother in need and refuses him compassion, how can the love of God remain in him?’ (1 John 3:17). Our Haitian neighbors, at home and abroad, need our compassion while their country rebuilds and recovers. Yesterday’s decision ignores such needs. The Administration has provided an 18-month period during which TPS recipients from Haiti can legally stay in the United States and prepare for their departure. While this time is appreciated, it will not remedy the protection concerns and family separation that Haitian TPS recipients will face. Congress needs to find a legislative solution for long-term TPS recipients and enact legislation that keeps these families together. WASHINGTON—On November 17, 2017, Bishop Joe S. Vásquez of Austin, Texas, Chairman of the USCCB Committee on Migration, was joined by Catholic Legal Immigration Network, Inc. (CLINIC), Catholic Relief Services (CRS), and Catholic Charities USA (CCUSA) in sending a letter to Acting Secretary of Homeland Security, Elaine Duke, urging an 18-month extension of Temporary Protected Status (TPS) for Haiti. While the current designation for Haiti is set to expire in January 2018, the Department of Homeland Security is required to make a decision to terminate or extend TPS for Haiti by November 23, 2017. As noted by the partners: “[I]t would be premature and detrimental to the country’s redevelopment to return TPS holders to Haiti.” The letter, sharing insights from the recent USCCB/Migration and Refugee Services (MRS) delegation trip to Haiti, explained that the country is still recovering from the 2010 earthquake and subsequent natural disasters and is not currently in a position to adequately handle return of its nationals who have TPS. We, the undersigned, write on behalf of the U.S. Conference of Catholic Bishops’ Committee on Migration (USCCB/COM), Catholic Legal Immigration Network, Inc. (CLINIC), Catholic Relief Services (CRS), and Catholic Charities USA (CCUSA) to urge you to extend Haiti’s Temporary Protected Status (TPS) designation for 18 months. As you know, while the current TPS designation extends through January 22, 2018, pursuant to statutory requirements, a decision to extend or terminate TPS for the country must be made by November 23, 2017. We know firsthand from our humanitarian and development programs in Haiti, our September 4-7, 2017 delegation trip to Port-au-Prince, and our work with affected communities in the U.S. that Haiti is not fully recovered from the 2010 earthquake and is not yet in a position to safely handle return of its nationals who have TPS. • While progress is being made, recovery is far from complete, and the “extraordinary and temporary conditions” that warranted Haiti’s TPS designation remain. The country is still struggling to rebuild and attract investments, meanwhile food insecurity, poor sanitation, and the ongoing cholera epidemic remain significant barriers to Haiti’s full recovery. The impacts of HurricaneMatthew in 2016 and Hurricanes Irma and Maria this past fall have further impeded Haiti’s recovery. • Conditions in Haiti are such that nationals cannot be safely returned at this time. The ongoing challenges faced by Haitians on the ground are serious for any individual, much less repatriated nationals who are particularly vulnerable given their long absence from the country. Unfortunately, the delegation did not find evidence of sufficient capacity to provide returnees with adequate and sustained reintegration services should TPS be terminated. • Termination of TPS could undermine Haiti’s future progress and stability. The loss of remittances alone would deal a devastating blow to Haiti’s fragile economy. • Return of Haitian TPS holders would have negative implications for the over 27,000 U.S. citizen children who have been born to Haitian TPS recipients. If TPS is terminated, these mixed-status families will have a heartbreaking decision to make – to uproot their children from their homes and the only country they have ever known or face family separation. We ask you to show compassion and patience during Haiti’s ongoing path to recovery. Currently, it would be premature and detrimental to the country’s redevelopment to return TPS holders to Haiti. It would also put families at risk as the Haitian government has acknowledged that it is in no position to accommodate the return of the estimated 50,000 Haitians who have received TPS. In addition, terminating TPS would needlessly create a large undocumented and vulnerable Haitian population in the U.S. and contribute to unauthorized re-migration. Based on the above facts and further analysis in our trip report, we urge you to extend the TPS designation for Haiti, pursuant to Section 244(b) of the Immigration and Nationality Act. This will allow the country to build upon the progress it has made towards recovery and help ensure individuals’ return and reintegration can be safely accomplished. At the same time, an extension of TPS will allow Haitians to continue to legally work, contribute to our communities in an authorized capacity, and live with dignity. We appreciate your consideration of this request and would welcome the opportunity to engage with you further on this issue. The Catholic Church stands ready to support measures to help ensure TPS recipients and their families are provided the protection and support they need while Haiti rebuilds. 1 Department of Homeland Security (DHS), Extension of the Designation of Haiti for Temporary Protected Status, 82 Fed. Reg. 23,830 (May 24, 2017). 2 8 U.S.C. § 1254a(b). 3 Deut. 10:17-19 available at http://www.usccb.org/bible/deuteronomy/10. 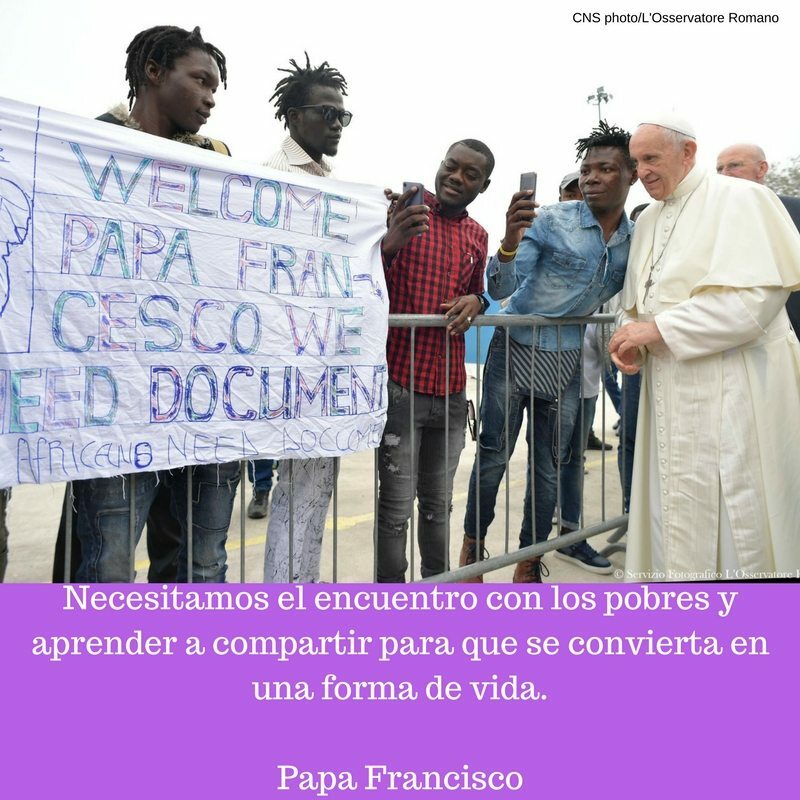 4 USCCB/MRS, Haiti’s Ongoing Road to Recovery: The Necessity of an Extension of Temporary Protected Status (November 2017), available at http://www.usccb.org/about/migration-policy/fact-finding-mission-reports/upload/mrs-haiti-trip-report.pdf. 5 8 U.S.C. § 1254a(b). On behalf of the U.S. Conference of Catholic Bishops/Migration and Refugee Services (USCCB/MRS) and Catholic Relief Services (CRS), we write to express our deep concern regarding the November 9th announcement of termination of the Central American Minors (CAM) Program. The CAM program has been vital to help ensure necessary protection for youth whose lives are at grave risk in the Northern Triangle of Central America (El Salvador, Honduras, and Guatemala). Based on our experience and knowledge, terminating the CAM program endangers the lives of children seeking safety from violence and persecution. We strongly urge you to reconsider this decision and fully re-operationalize the program; we otherwise risk abdicating our responsibility to protect the lives of youth in dire humanitarian need. At a minimum, we urge you to: (1) provide a 30-day period to allow parents who are in the process of completing new applications time to file; (2) revert to the 90-day window for submission of case corrections; (3) commit to processing and interviewing all pending CAM applications for those already in the pipeline; (4) ensure USCIS exercises its discretion to consider Requests for Review (RFRs) submitted after the 90-day deadline; (5) revise requirements so that applicants are not required to submit RFRs in person; and (6) provide stakeholder engagement and outreach on the cancellation of the CAM program. While the Catholic Church recognizes governments’ right to control their borders and enforce immigration laws, we hold a strong and pervasive pastoral interest in the welfare and humane treatment of migrant children. As Pope Francis has said: “Among migrants, children constitute the most vulnerable group, because as they face the life ahead of them, they are invisible and voiceless.”1 USCCB/MRS works to support vulnerable youth and their families in part through the CAM program. USCCB/MRS and its network have supported more than 1,200 parents in filing Affidavits of Relationship (AORs) for their children in-country, a preliminary step in filing a CAM application. CRS, the international relief and development agency of the U.S. Catholic community, has served the Northern Triangle populations for decades, working with communities to find solutions to break the cycles of poverty and violence. Supported by U.S. government and private funding, CRS works with youth and those in agriculture to improve education, economic output, and overall opportunity so communities and families can thrive and grow rather than be forced to attempt the hazardous journey north. CRS-supported programs like Youth Pathways in El Salvador and Honduras have reached 7,000 young people across the region, transitioning 80% of participants back to school, to a new job, or to start an entrepreneurial venture. Through this work, we know firsthand the ongoing instability, violence, and displacement in the Northern Triangle. Furthermore, USCCB/MRS staff recently visited the Northern Triangle, observing the dangerous conditions to which young people are subjected. In its trip report, “Temporary Protected Status: A Vital Piece of the Central American Protection and Prosperity Puzzle,” USCCB/MRS discusses the increase in family-targeted violence. Given this violence, legal avenues for children to access protection are essential. The U.S. bishops and CRS have supported the CAM Program because it provides a life-saving measure for vulnerable youth from the Northern Triangle to apply for refugee status and possible resettlement in the United States. As you know, the CAM program has provided over 1,600 children with protection through refugee status and nearly 1,500 children with protection through humanitarian parole. For children like Marco, the program provided vital protection. Marco was only a toddler when his mother left for the United States. He was living with his grandmother in Honduras when, at 8 years old, the local gang began to target and abuse him. After being hospitalized for days due to a particularly severe beating by gang members, he and his grandmother fled to seek safety in another part of Honduras. Despite their best efforts, the gang tracked them down and kidnapped Marco. After his mother paid a substantial ransom, the gang released him. Unfortunately, however, the gang continued to torment Marco, even killing someone in front of him. Through the CAM program, Marco was finally able to escape this persecution and reunify with his mother in the United States as a refugee. Marco continues to suffer from nightmares but is adjusting well with the help of counseling. He is now in the fourth grade, where he enjoys and excels in his schoolwork. Unfortunately, stories like these are all-too common. Terminating the CAM program will neither protect such children nor help our government regulate migration. With a shared desire to reduce forced migration and provide opportunity to youth and communities alike, we must continue to provide avenues to legal protection for youth who fear for their lives. Consequently, we urge you to reconsider your decision to terminate the CAM program. This small but important program is a critical aspect of the overall strategy to reduce violence and create opportunity in the region over the longer term. (1) Provide more time and notice than the 24-hour window that was given on November 8, 2017, for submission of new CAM applications. Such a narrow window will prevent many parents who are already in the process of completing AORs, from being able to timely file. While USCCB/MRS filed 49 new AORs before the deadline, we estimate that approximately 50 to 70 parents,3 in the process of completing applications, were unable to file due to this rapid deadline. These are parents that are anxiously waiting and trying to find a legal avenue to reunify with their children who are suffering violence in their home countries. We recommend a minimum of a 30-day window to allow these parents to finish their applications and timely file. (2) Revert to the previous 90-day period, from the new 15-day period, for submission of corrected cases. Such a short time frame for submission of corrected case requests is highly concerning. In the past, we have seen approximately 10-15% of cases resulting in requests for correction, but we expect this percentage to significantly increase due limitations in review resulting from the 24-hour deadline for submission of new cases. Compiling a corrected case submission is a lengthy process that requires coordination with both our affiliates and impacted parents. Given that applicants have only one chance to submit a corrected case file before rejection, it is important that we have time to work with parents and affiliates to gather complete information and perform a thorough review. We know that this cannot be accomplished in 15-days, and we urge you to revert to the 90-day window for submissions. (3) Commit to processing and interviewing all cases of individuals with pending CAM applications. We are very concerned with the November 15th announcement that DHS will stop interviewing CAM cases on January 31, 2018. There are thousands of pending CAM cases that are still awaiting DHS decisions. Families with such pending cases have already submitted to blood and identification testing, paid fees associated with the process, and expended extensive time and resources to proceed with the CAM application. To deny them the opportunity to finish these cases would be cruel and arbitrary. (4) Ensure USCIS exercises its discretion to consider RFRs submitted after the 90-day deadline. USCIS generally requires RFRs to be submitted within 90 days of the recipient receiving the notice of ineligibility. In these cases, the individuals being informed of ineligibility are minors outside of the United States, many of whom previously received conditional parole approval. Legal aid providers face challenges in representing minors, coordinating with parents and guardians in the United States and minors in Central America, compiling legal arguments in complex gang-related refugee claims, obtaining supporting evidence and documents, and obtaining case notes through the FOIA process. For this reason, we request that late-submitted RFRs be considered. (5) Revise requirements so that applicants are not required to submit RFRs in person. Currently USCIS accepts RFRs over email but also requires them to be submitted in-person by the minors in Central America. This requires, in many instances, that children take significant personal risk, travel long distances, and print out sensitive personal information. As the information is already submitted via email, this burden imposes unnecessary danger on child applicants and contributes to administrative inefficiency. (6) Provide stakeholder engagement and outreach on the cancellation of the CAM program. We remind you that the CAM program was administered by refugee resettlement programs, not immigration legal service programs. Through our work with our resettlement network we know that not all of the resettlement offices handling CAM cases have extensive experience working and engaging with DHS. Due to termination of the CAM Parole program in August and the subsequent overall CAM program termination notice on November 8th, we have been inundated with questions. We urge you to conduct a national stakeholder engagement call for CAM AOR service providers, on which DHS and State Department staff are present and available to answer questions. We feel such an engagement would be administratively helpful in providing direct information to those who are dealing with this situation. The Church looks forward to continued partnership with the U.S. government to work throughout the region to improve local human security and promote a robust respect for human rights. We also urge the Administration, in collaboration with UNHCR and civil society stakeholders, to work together to assure future access to U.S. resettlement for children and families forced to flee Central America, whether through a continued CAM program or through other mechanisms. We thank you for your consideration and would appreciate an opportunity to meet with you to further discuss these concerns and recommendations. 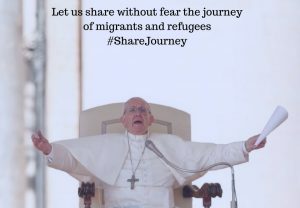 1 Pope Francis, 2017 World Day of Migrants and Refugees Message (September 8, 2016), https://w2.vatican.va/content/francesco/en/messages/migration/documents/papa-francesco_20160908_world-migrants-day- 2017.html. 2 Marco was served by a USCCB/MRS affiliate. His name has been changed to protect client confidentiality. 3 Please note that this number is an initial estimate only. We are working to confirm with affiliates and will have a more accurate data to share with you next week. On Tuesday, November 14th, our experts talked about the most up to date information surrounding the Executive Orders that have impacted Refugee Resettlement in the United States. WASHINGTON—Bishop Joe S. Vásquez of Austin, Texas, chair of the U.S. Conference of Catholic Bishops’ Committee on Migration, expresses his opposition to the Administration’s decision to end refugee processing for individuals in Honduras, El Salvador and Guatemala who apply to enter the U.S. through the Central American Minors (CAM) program. Bishop Vasquez notes that the elimination of this program puts the lives of vulnerable children at risk for greater harm and represents a step backwards in the prevention of irregular migration. “I am deeply disappointed by the Administration’s decision to terminate the entire CAM program. I have previously expressed disappointment when the parole option of the program was cancelled, and now disapprove all the more of the decision to eliminate the whole program. Especially troubling is the short cutoff date for accepting CAM applications, which is barely 24 hours advance notice to service providers. This decision of the Administration unnecessarily casts aside a proven and safe alternative to irregular and dangerous migration for Central American children. Already, the end of the CAM parole program has caused heartbreaking family separation for families who have learned that their child has no safe means of arriving to the United States. The end of the overall CAM program will sadly perpetuate more of the same family breakdown. Pope Francis has called on us to protect migrant children, noting that “among migrants, children constitute the most vulnerable group.” The CAM program, which included both refugee and parole options, should have been maintained precisely because it provided a legal and organized way for children to migrate to the United States and reunify with families. Terminating the entire CAM program will neither promote safety for these children nor help our government regulate migration.